This artwork is influenced by the divine relationship of Cow-Krishna. 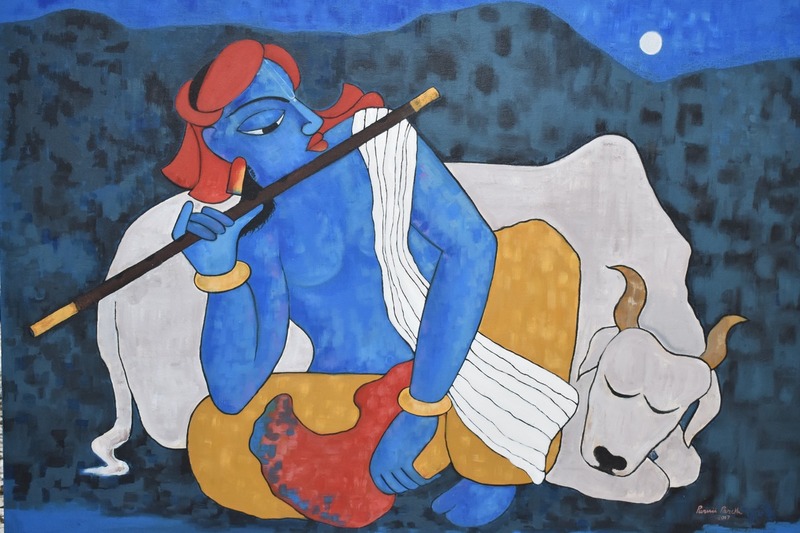 The love for Krishna can be sighted in all his childhood pictures where, he is sitting on the back of cows and standing in between some cows and playing flute. 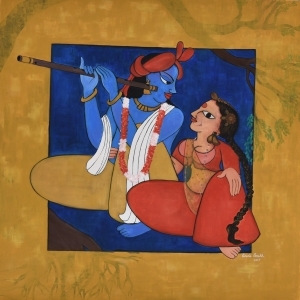 A very similar representation is created by the artist in this painting.